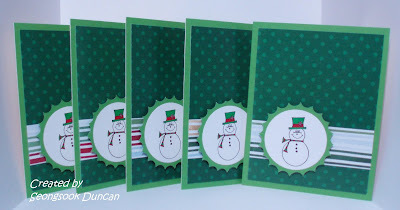 I made 5 cards for the Christmas Cards All Year 'Round March Challenge. 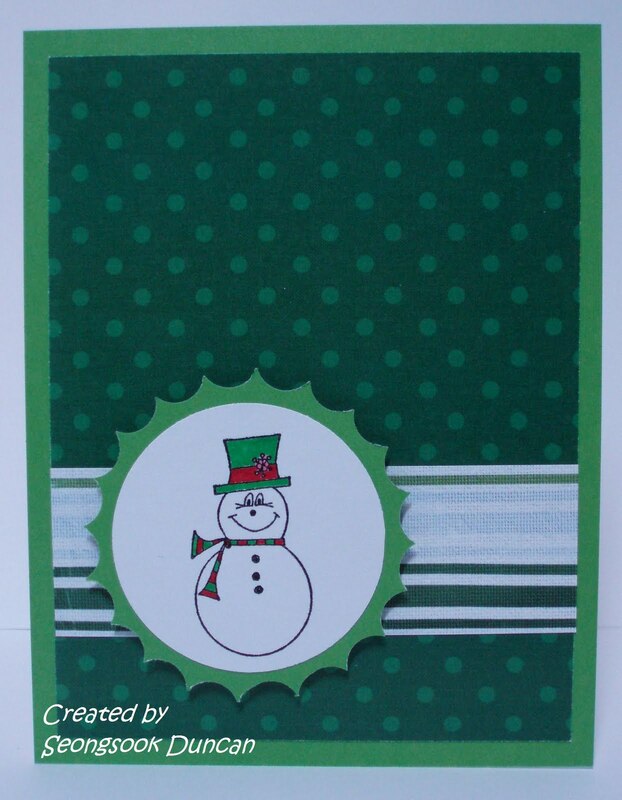 The challenge for the month of March is to use mostly green on your card and snowmen. I used the sketch for Crazy 4 Challenges - C4C30 although I didn't add a sentiment yet. 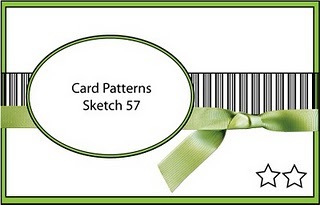 I made this card for Card Patterns Sketch 57 Challenge. This is the sketch. 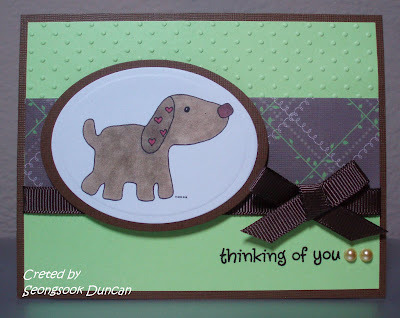 With this card, I entered the OWH S&S Theme challenge: Four Legged Friends as well. I used the digital image "Puppy Love" from Stretch N' Bubbles that I bought a while ago. 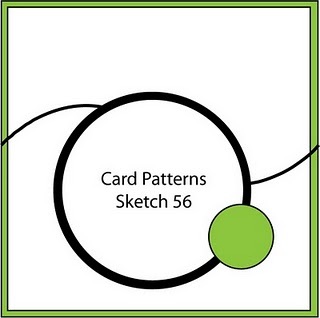 I made this card for Card Patterns Sketch 56 challenge. I love this sketch. I used double sided patterned paper from heidi grace designs. First I cut two patterned paper size 5" x 4 1/4" to make two cards. 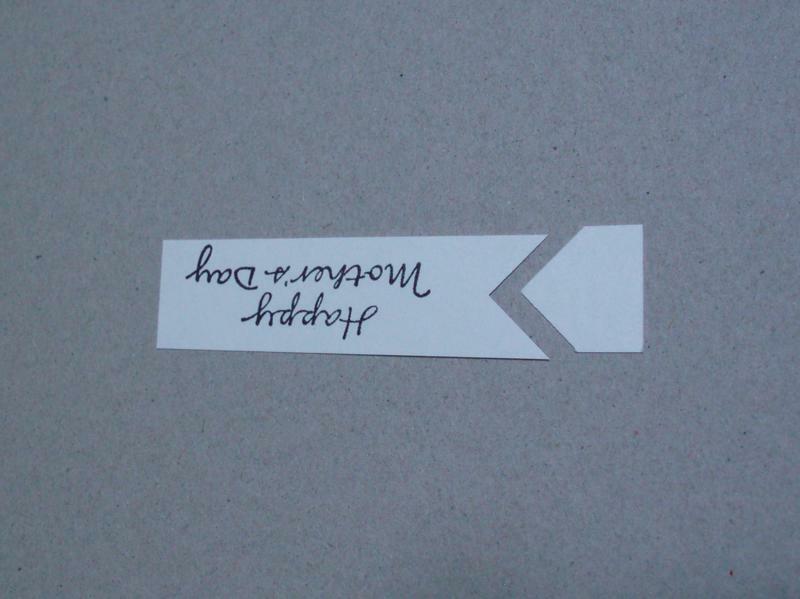 I cut both of them into wavy shape in the middle with scissors and I put the other part of paper upside down. 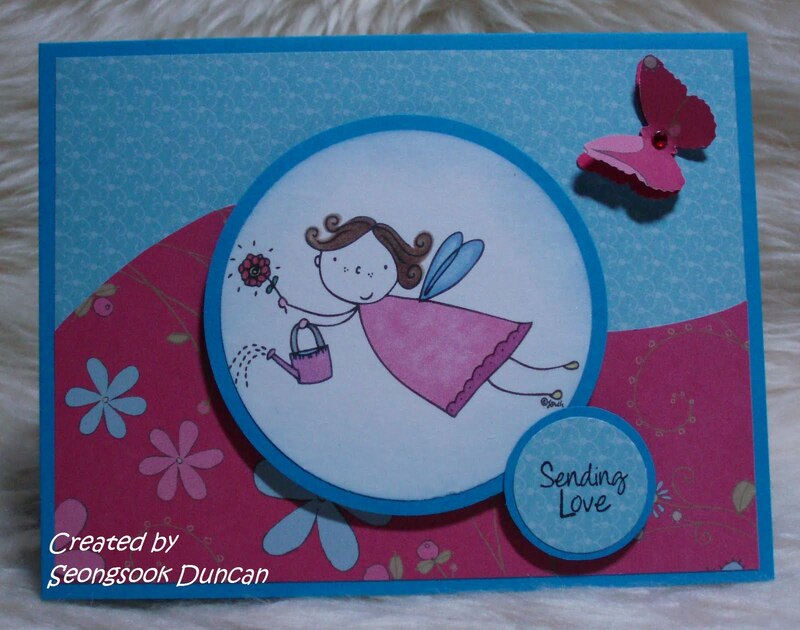 I used the digital image "Garden Fairy" from Designed 2 Delights for Free Digital Stamp #4 for March challenge. I colored it with Bic Mark.It markers. Kathy - one of my OWH Card Makers at work did a great job with these beautiful patterned papers to make Mother's Day card. To finish up this card, I was going to add a flower image at first. 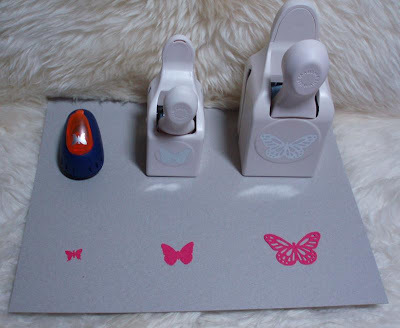 Instead, I ended up adding three butterflies that I punched out. It turned out very nice. I took some photos to show what punches I used and how I did it for my fellow cardmakers' information as I was asked. I hope it will help. I made this card for everyone who participated in the OWH Spring Brake Bloghop and for my card maker friends at work who contributed for OWH cards on Monday. Thanks so much! If you are here to see my post for the Operation Write Home Spring Brake Bloghop, please scroll down one post below this. Thanks for stopping by! I was so excited when I received an e-mail from Karen Howard of the Operation Write Home Stars and Stamps Blog asking me come up with a Sketch Challenge. I already made these four cards to share my idea with you a few weeks ago. I tried what I can add or make variations on this simple sketch. I hope you will like them and play along with this sketch. * For this card, I used the digital image "Cupcake Monkey" from Dustin Pike. I colored it with Bic Mark.It markers. * For this card, I printed out the sentiment from my computer and used MS Lace Border Punch. * For this one, I used alphabet stickers. By rubbing the sticky side of stickers with baby powder, I removed stickiness of stickers and attached them with pop dots. * For this card, I used the colored version of digital image "Rosy with flower" from Fred, She Said Digital Design. The sentiment is Hero Arts' rubber stamp. 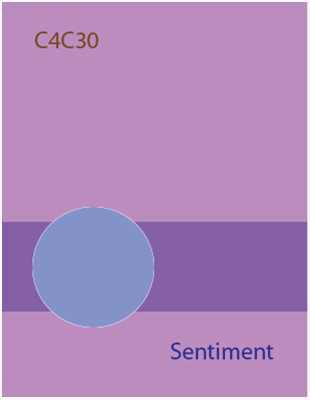 By adding more layers or embellishments or changing the location of sentiment, you can see how the sketch can be turned out. Now, I want to share one more of my budget tips with 3D Foam Squares. 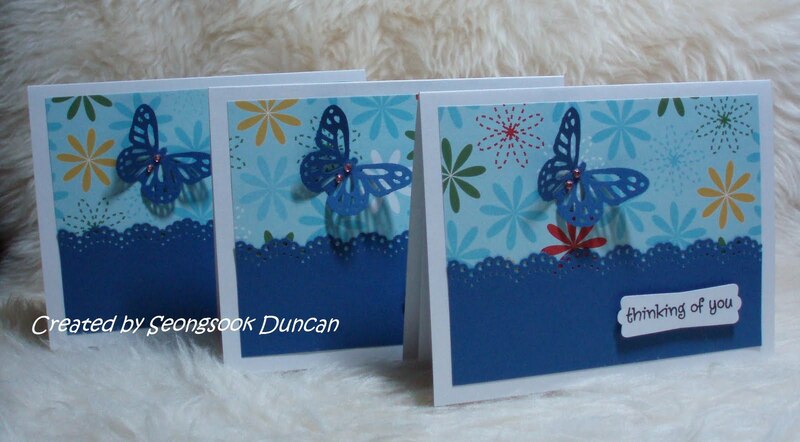 We all like to add dimension on our cards, don't we? Since I make many cards for our heroes, I had to find more use of this product. 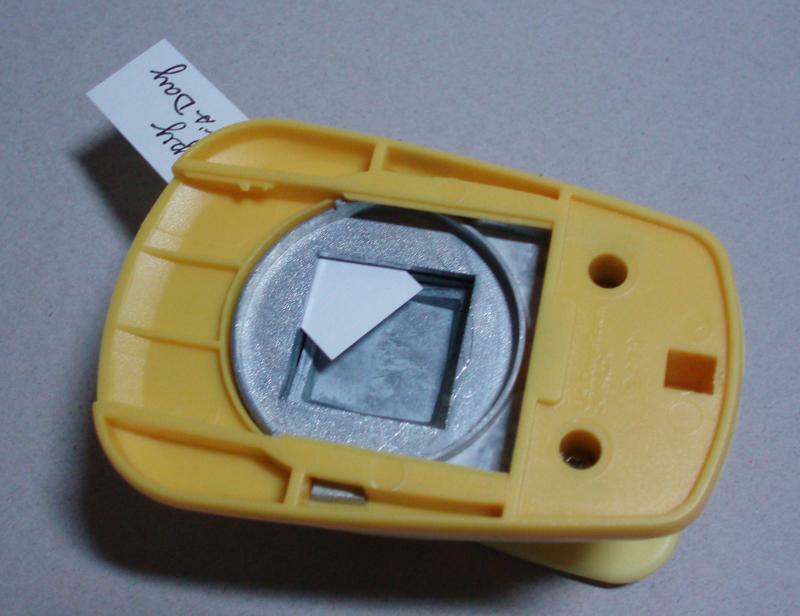 What I do is to cut a square into four quarters so that I can have four times more of them. I took a picture of the process to give you a quick reference. Welcome to the Operation Write Home Spring Break Bloghop! Thanks for stopping by! I am so happy to participate in this Bloghop. If you arrived here from Kimme's, The Life of a Princess blog then you are in the right place but if you arrived on my blog in the middle of the hop and want to start at the beginning, please go to the OWH Stars and Stamps blog for the start of the hop so you can get the 'full experience' for the day. 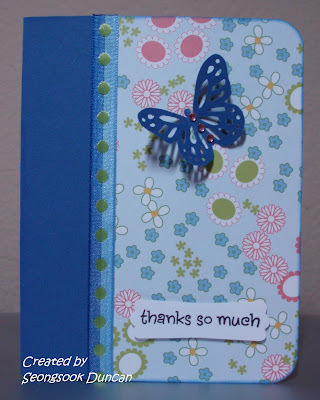 The theme of this Bloghop is springy thinking-of-you or hello card (no sentiment is also fine). So I made the following two cards to share with you. I hope you will like them. 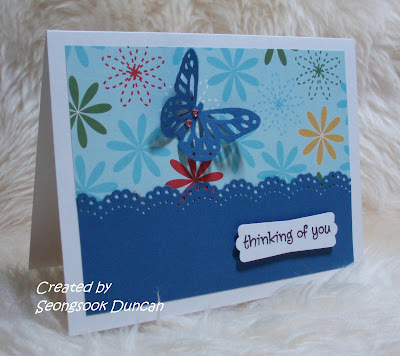 For this card, I used the digital image "In Bloom" from Designed 2 Delights Digi Stamp for March FREEBIE Week 3. I colored the image with Bic Mark.It markers. With this card, I am also entering Crafty Calendar Challenge: Challenge 6 - Flower Power. 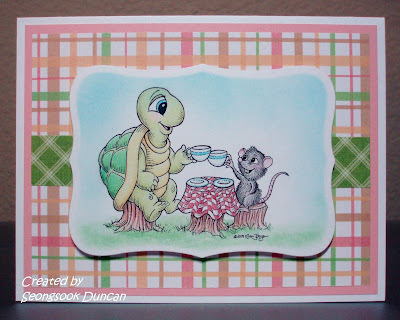 I used the digital image "Time for Tea" from Karen's Doodles for this card. Karen Johnson kindly allowed me to use her colored version of this image especially for making cards for heroes. She said that she is honored to become a part of Operation Write Home. I sponged the sky and the grass with chalk inks. I make cards for heroes because I am so thanksful for their serving our country and people. I have been making cards for heroes with my colleagues at work over a year. Their contribution is a grate help. 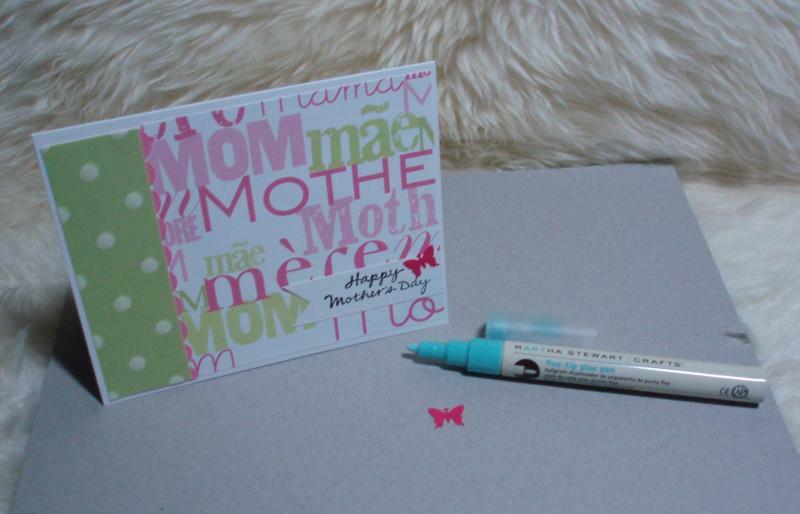 Next Monday we are going to make Mother's Day cards including any theme of cards. 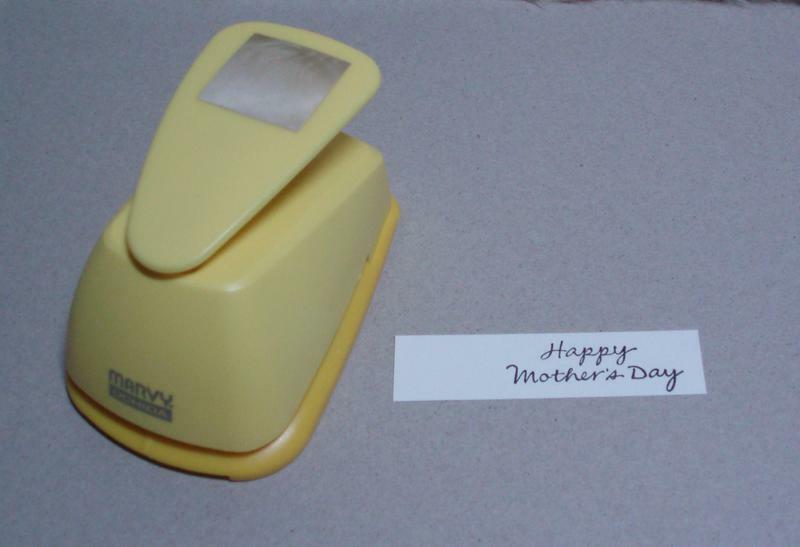 As a reminder, the deadline for Mother's Day is April 1st. I like to play with OWH Stars & Stamps Sketch Challenges on Sundays. I hope you will check it out and get more inspirations. As I mentioned on my previous post, here is how I made my homemade glue dots. This is easy to make and easy to use. And also it saves your time when you make many cards with others. 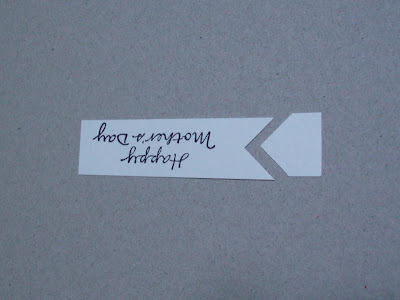 You will need a used (peeled off) Avery Address Label paper which is non-sticky and Aleen's Tack-It Over & Over. I bought it at Michaels. On the non-sticky side paper, make a small drops with Tack-It Over & Over liquid as many as you want to make your homemade glue dots. Leave it until white color turns to clear at least 24 hours. In my experience, I think it is better to wait for another day. The next stop on the hop is Anita's, Cards & Coffee blog. She is very talented and I am sure you will enjoy her creations. I made this card based on Clean & Simple FTL 82. Digital Image "Tulip Trio" is from Fred, She Said that Tracey Miller donated to Operation Write Home. I love this image. I colored it with Bic Mark.It markers. I raised one of Tulips in the middle with pop dots at the top part and glue dots at the bottom part to give a slight dimension. These glue dots are homemade glue dots that I learned from one of Card Maker friends. I will show you how I made them on my next post for OWH Spring Break Bloghop on Saturday, March 20, 2010. 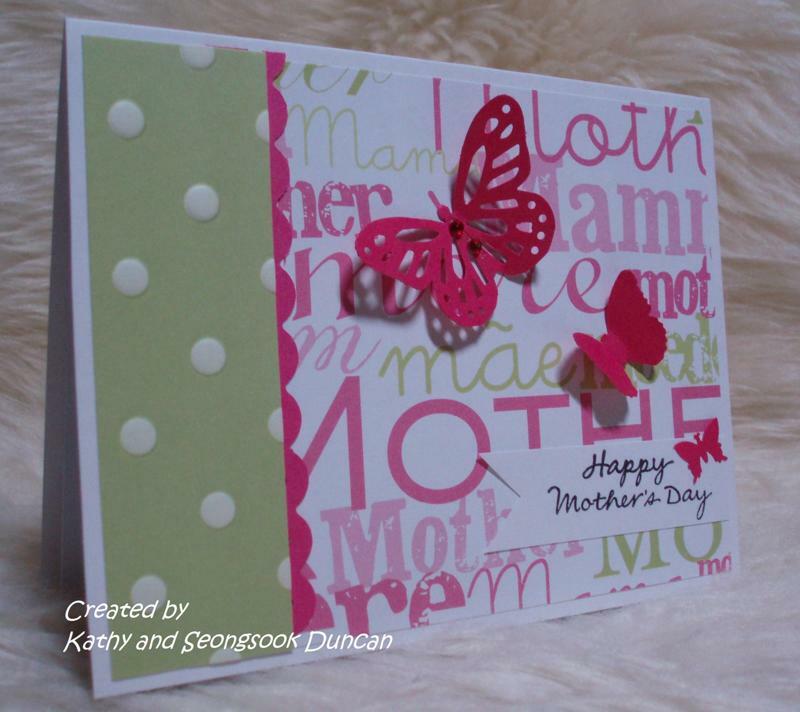 I made this card specially for one of my colleagues who celebrates her mother's birthday on the St. Patrick's Day. I am happy as it turned out very well. I hope she will like it.